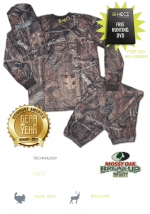 Montana 3D archery shoots are a great family vacation. Elk Tips Outdoor Gear, near Deer Lodge, Montana, will host a summer 3D archery shoot again this year! The Elk Tips Family 3D Shoot will be on July 27th, 2019. The Elk Tips Archery 3D Shoot will again be held at the Perkins Ranch a few miles out of town. See directions below. Phone 406-431-0876. Elk hunting Colorado discussions take place here. Connect with those who have hunted in Colorado, and those who plan to. Ask, give or just read answers about hunting Colorado elk. 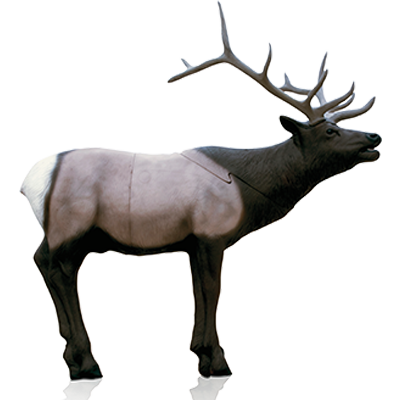 Registration for the Elk Tips 3D Shoot will be from 8:00-11:00 a.m. You may also pre-register by visiting or calling Elk Tips Outdoor Gear at 406-431-0876. 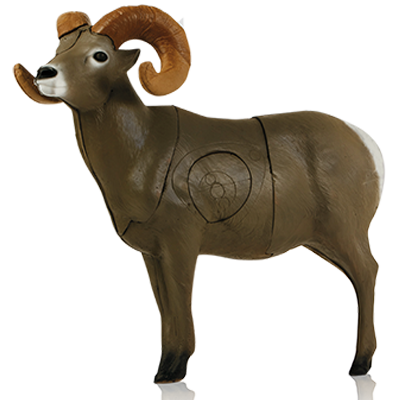 There will be 2 rounds of 25 3D targets, including a bighorn sheep, elk and a wolf! (Someone finished off the Zombie last year by shooting off his head!) Stakes will be different for each round. These will be family-friendly events. 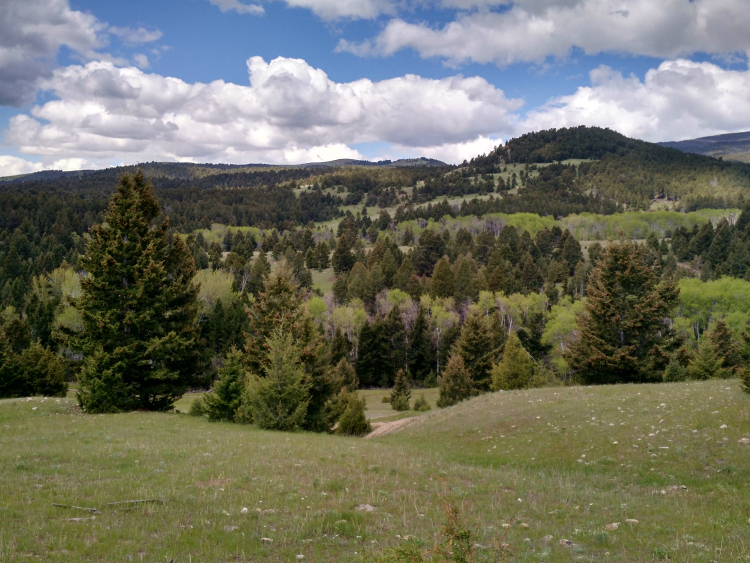 The shoot will be in the same general area of a forested hunting setting on a private ranch as before! Bonus money shoots will follow the 3D shoot, as usual. Quality raffle items available. There will be men, women/youth and cubs shooting stakes. Women with lower poundage bows may shoot from the "youth" stakes, if desired. Youth may shoot from adult stakes. Handmade plaques for the winners of each division. No rangefinders, or binoculars at shooting stakes, if you want to turn in scores for competition. Cost will be: Adults $12, Juniors (12-17) $8, Cubs free (11 and under with registered adult). $35 for a family. Snacks will be available during the shoot. After the shoot, go to Deer Lodge for the Craft Brew Festival and Cooking on the Clark Fork BBQ contest. Great BBQ and beer will be available into the evening. What could be better than BBQ and craft beer after a great Montana 3D archery shoot! We hope to see you at the shoot and afterward on Main Street in Deer Lodge. More Montana 3D shoots are listed at the bottom of this page. From Interstate 90 take Deer Lodge Exit #184. Get on the southside frontage road (west side of I90). Go south about 5 miles to Sager Lane and turn right. Go west 1.2 miles to Yellowstone Trail. 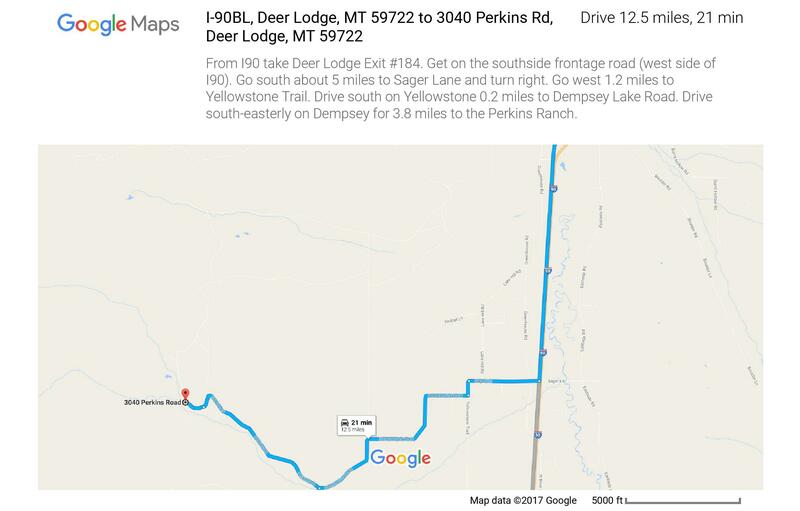 Drive south on Yellowstone 0.2 miles to Dempsey Lake Road. Drive south-easterly on Dempsey for 3.8 miles to the Perkins Ranch. Click on map for larger image. If you have links for these shoots, or contact info. Send them to us on the link below the list. 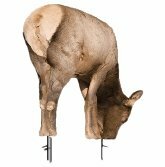 If you have questions about Montana 3D archery shoots or something else, feel free to contact us here. We will get back to you as soon as possible. 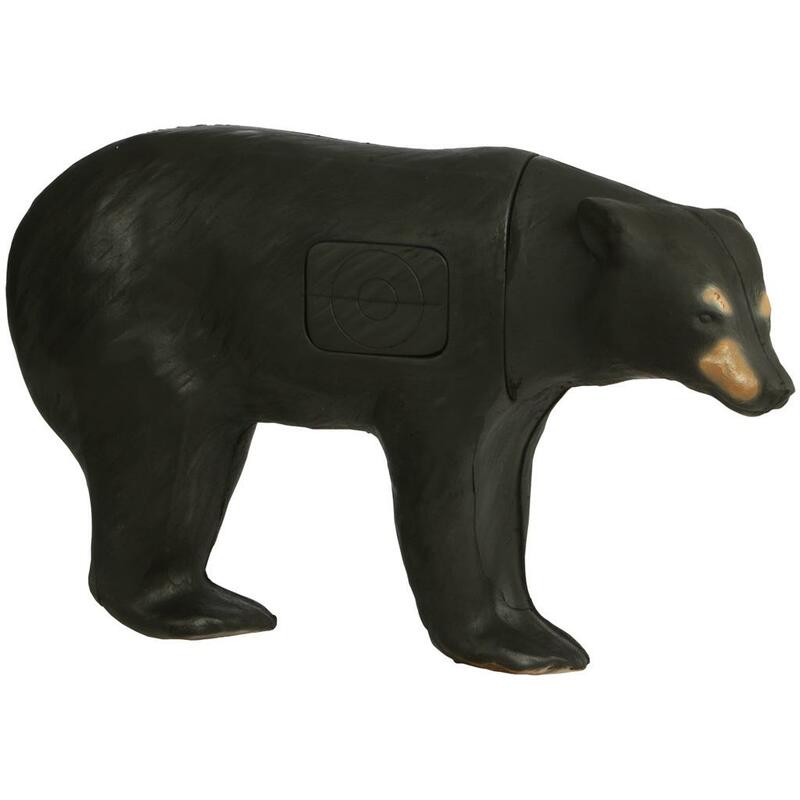 Let us know if you would like to sponser one of the 3D targets to promote your hunting related product.